The Department of Obstetrics and Gynecology at Brigham and Women’s Hospital, and its many faculty members and researchers, are dedicated to doing everything possible to provide women and their families with the most advanced care available anywhere. A teaching hospital of Harvard Medical School, we are world-renowned for our expertise in gynecology and pregnancy, and have been a trusted name in women’s health for more than 175 years. Our rich history includes landmark research that has helped guide the care provided to women around the world. Learn more about our research. Our commitment to patient- and family-focused care has shaped our Center for Women and Newborns at the Mary Horrigan Connors Center for Women’s Health – world-renowned for the quality of our obstetrical and neonatal care and dedicated to the most comprehensive state-of-the-art obstetrical services under one roof. Brigham and Women’s Hospital is the birthing center most women in Massachusetts choose and U.S. News & World Report has repeatedly named Brigham and Women’s Hospital among the top hospitals in the nation in Gynecology. In addition to the Connors Center, we provide outpatient services at locations throughout eastern Massachusetts and southern New Hampshire. The Department supports women through all stages of life and works collaboratively with specialists in cardiovascular medicine, orthopedics, arthritis and neurology – to name a few – to provide comprehensive care. Gynecology – We offer complete outpatient and inpatient gynecologic care and the latest minimally invasive and robotic treatments for common and complex conditions, including uterine fibroids, urinary incontinence, and gynecologic cancers. Our Center for Infertility and Reproductive Surgery is renowned for its high success rates and helping build healthy families. The Contraception Consult Service provides evaluations for women with chronic health issues. Obstetrics – At our Mary Horrigan Connors Center for Women’s Health, we provide the utmost in patient- and family-focused care and deliver more babies than any other hospital in the region. We provide care for all pregnant patients and specialize in high-risk pregnancies. We also provide lifesaving prenatal treatment for fetal disease and conditions, and have been leaders in many of today’s most advanced in utero procedures and fetal monitoring techniques. We are specially equipped to care for infants as young as 23 weeks gestational age and our state-of-the-art facility and equipment allows our Newborn Intensive Care Unit (NICU) to be the largest in Massachusetts. We understand that each patient has personal and unique concerns. This is why we encourage our patients, and those close to them, to be active participants in care, and we work with each family to meet their needs. Through each step, we clearly explain every aspect of care – discussing all appropriate options to help the patient and their family make the best decisions. Learn more about patient- and family-focused care. 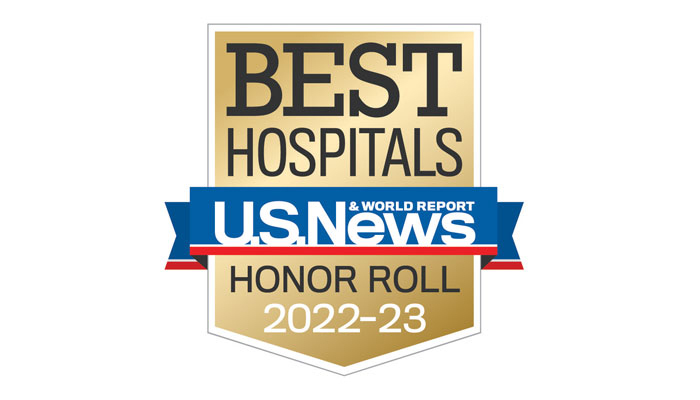 Brigham and Women’s Hospital is committed to providing our patients with the safest, highest-quality, most-satisfying care possible. The safety of our patients and newborns is our top priority. Learn more about our commitment to quality and safety.